Rethinking ecosystems by inviting kestrels to nest at the U. We may have forgotten that the University of Utah campus is an ecosystem, an environment for student learning to take place and a habitat for other species to live and thrive. A small group of students are paying attention to the latter issue by working to increase the kestrel populations on campus and learn more about the species’ natural history. Colter Dye and Yaki, a rescued American Kestrel and Hawkwatch International Ambassador. Kestrels are the smallest falcon species. They are birds of prey—also known as raptors—that feast on small mammals and insects that are plentiful food sources along Red Butte Creek and the manicured turf across campus. The problem is that kestrel populations have steadily been in decline. Another species of falcon, the Peregrine, has nested on top of the Joseph Smith Memorial Building in downtown Salt Lake for decades. The falcons are known as Salt Lake’s resident falcons and have returned year after year since the late-eighties. A dedicated group of bird enthusiasts are attempting to recreate kestrels’ seasonal nesting behavior. High in the trees, you’ll spot a dozen simple, wooden, rectangular birding boxes. The purpose of the boxes is to reintroduce the bird to the campus ecosystem and foster nesting behavior, hopefully increasing the local kestrel population. Biology student installs nesting box to monitor kestrel behavior this spring. Colter Dye, a biology student at the U, is at the forefront of this initiative. He says the idea hatched after taking a biology class last spring. He discovered an earlier project that Community Engaged Learning (CEL) students in the biology department developed in 2013 to provide nesting habitat for western screech owls on campus. Dye was inspired to expand the screech owl project into a more robust kestrel research program. Campus research on birds of prey is a welcomed endeavor in wildlife and ecological studies because raptors are considered indicator species. The presence or absence of kestrels in the environment can be evidence of the overall health of the ecosystem. 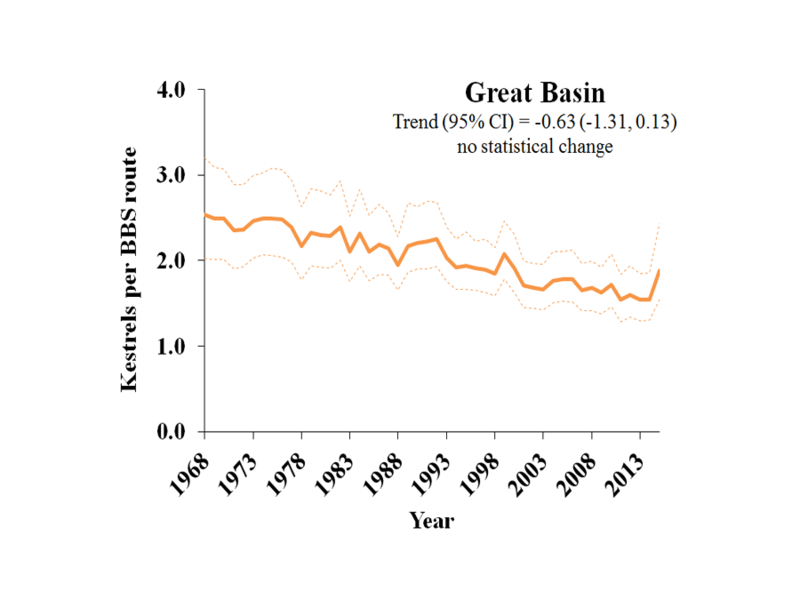 USGS data reflects long-term declines in kestrel population, estimating a 36-percent change in the Great Basin area. “This project dovetails into a larger kestrel monitoring study by Hawkwatch International. They’ve installed ~250 nest boxes up and down the Wasatch front in order to monitor long term breeding success and abundance,” says Amy Sibul, engagement coordinator in the Biology department. The Wildlife Society works with Facilities Management to secure nesting boxes around campus. Concerned by these changes, Dye started a University of Utah Wildlife Society chapter, which is a student body organization recognized by Hawkwatch International. The group was able to get the project up and running last semester with funding from the Sustainability Campus Initiative Fund (SCIF). SCIF awarded the project over $4,500 to finance nest box building materials, National Wildlife Society membership, binoculars, and a wireless camera to record nesting activity. The Wildlife Society and CEL students from two biology courses built the bird boxes and worked with Facilities Management to find the most appropriate nesting locations on campus. Although the chapter is excited to see their handmade boxes used as new homes, the kestrels won’t arrive until spring. The kestrel project also receives support and works closely with the Community Engaged Learning program. CEL creates opportunities for students to participate in applied research and service projects at the local level and gain practical experience for internships, jobs, and careers. “I hope that the University of Utah will serve as a model for other colleges, on how to integrate campus wildlife research and habitat preservation into grounds activities,” says Sibul. Sibul and Dye aspire to grow the program so that interested students can maintain the project permanently and learn to share the land with other species. Consistent efforts and project longevity are critical to the success of the kestrels’ return. If you’re interested in getting involved, contact Sibul or attend the next Wildlife Society meeting. The Wildlife Society meets on the first and third Thursday of each month at 3:30 in ASB 304 and is open to students, staff, and faculty from all departments. Nicole Cox is a graduate student in Environmental Humanities and a graduate assistant in the Sustainability Office.